Island Heiress is a 145' Motor Yacht. 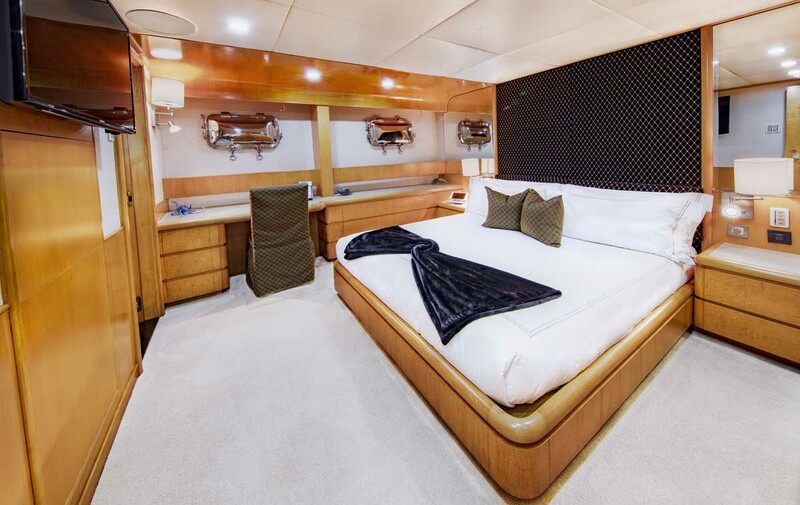 Built by Cheoy Lee in 1996, this spacious yacht has something for everyone! Built in 1996, Island Heiress underwent a major refit during 2013-2017 from stem to stern. Equipped with brand new engines, crane, and more. Make your next vacation a dream come true. 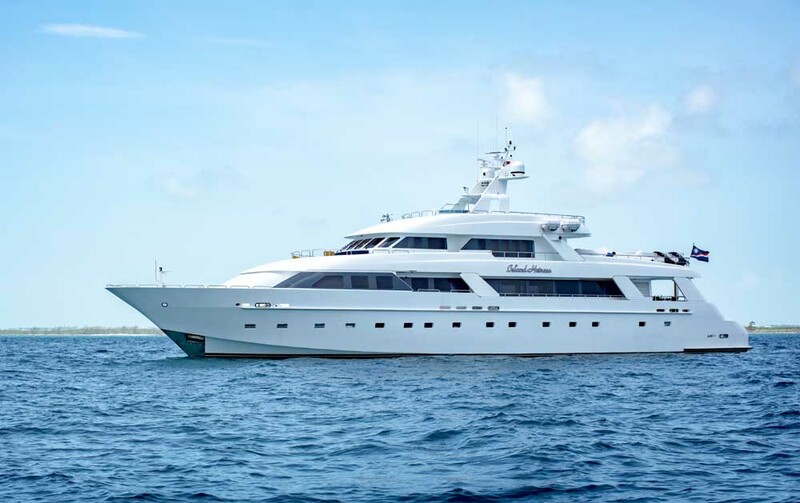 Contact your favorite charter broker for additional information, details and availability to inquire about chartering the Island Heiress for your next vacation. The Island Heiress boasts 6 State Rooms that can accommodate up to 12 people. Each state room is equipped with it's own en suite and state of the art Crestron programming to keep you connected. Our experienced crew will treat you to 5 star service and cater to your every need. We offer a luxury experience with a family feel. Let us show you! Imagine your next vacation here! At Island Heiress we strive to give you the luxury charter experience and make your vacation the best it can be! From low key to high energy! Imagine yourself lounging on the beach of a remote Bahamian island. Maybe you are feeling adventurous??? 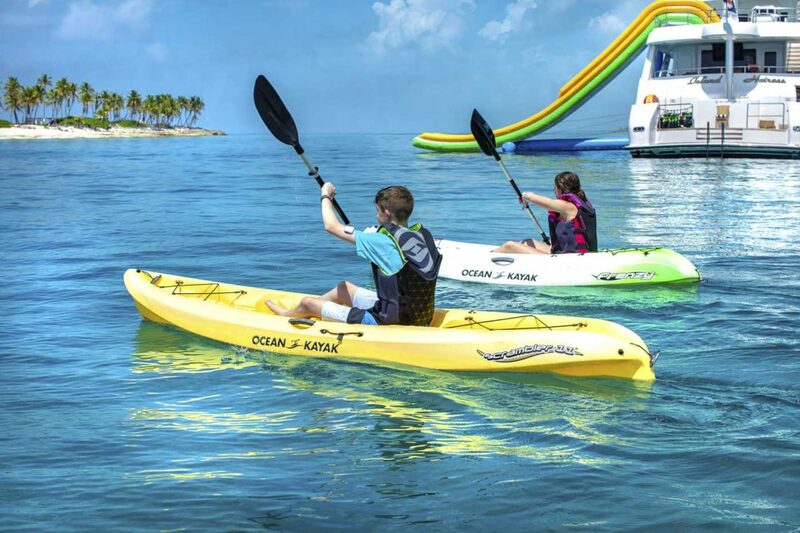 If so, you can jump on the slide and land in the crystal clear water, watch the kids jump on the inflatable trampoline, play on one of our 4 Jet Skis, discover the gorgeous fish while snorkeling and so much more! 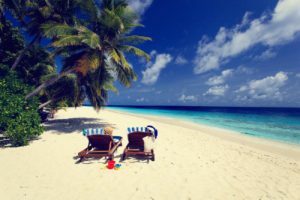 We are here to make your dream vacation a reality!